This path is complemented by psycho-physical training always in evolution departing from integrated martial arts (Contact Dao), somatic practices, contemporary dance, experimental dance and interdisciplinary practices without any limits nor tied to a specific technique. We have a solidly experiential understanding of specific “principles” that challenge in a rigorous way organic movement of the body and the physical-vocal realm in space. 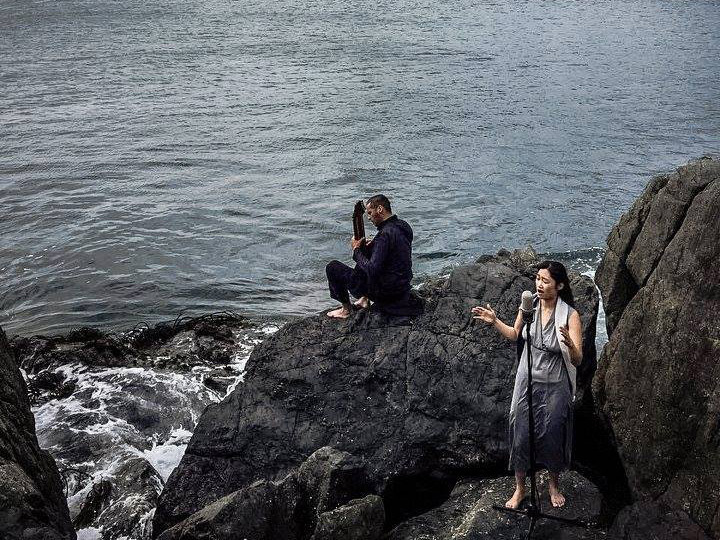 Apart from our approach to diverse performative practices the KiM Post School also draws from comparative studies from various sources of knowledge (philosophy, cultural studies, transpersonal psychology, Traditional Chinese Medicine and Neurosciences). We are inspired by the infinite creativity that lies in the organicity of nature and support the auto-sustainable cause. Therefore, our objective is to live and share this experience as human beings who live the art of the Performer as a path of artistic and human development. One of the main objectives of the KiM Programs is to potentialize a creative performer in order to explore and investigate from multiple perspectives the issues one is moved by in his process of creation.